These are the people who always pay tribute to their favorite watering hole. 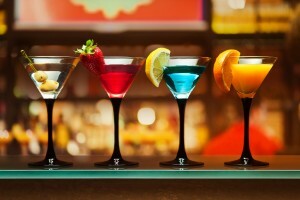 They build relationships with bartenders and develop strong bonds with other regulars. 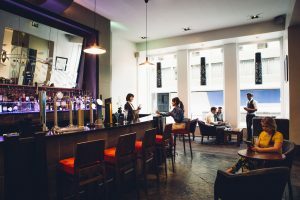 The key to becoming a bar regular is to be regular, however there are several other ways to reach that status. First off you have to discover a local bar that feels like home. Be sure it’s in a safe environment and filled with people you like hanging around on a daily basis. Next you must decide how often you want to visit the bar, what time of the day works best, and what will be your regular bar order. Bartenders always remember you by these things, especially your favorite drink. 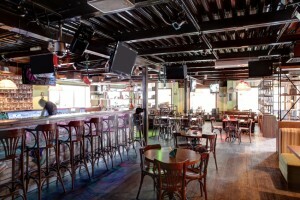 Once you start attending regularly, either sit close to or at the bar. Being close to all the action will force the bartenders and other regulars to remember who you are. If you sit too far away, chance are you will be forgotten. 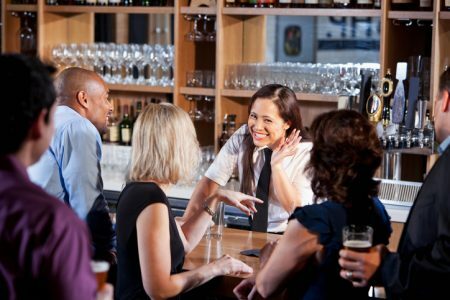 Make sure you engage with the bartenders and other regulars so you become a familiar face. Stay away from controversial topics and instead discuss things like the weather, music, movies and sports. Don’t get too personal too soon and always be cool, calm and respectable. Bartenders only remember those who tip well and those who don’t. It’s how they earn a living so don’t mess with their money. If you tip poorly or not at all, they will talk bad about you, this hurts your chances of being recognized as one of the regulars. Don’t get too drunk and be obnoxious. Flirting is okay but not all the time. Avoid conversations about politics and religion as you don’t want to offend people. Be neighborly and that will create a welcoming atmosphere at the bar. Becoming a regular at a bar is as simple as making new friends. Just be yourself, be consistent, and you will be a regular in no time. 6 Types of Regulars at Every Bar: Which One Are You?